What do you think I wonder about as I lay awake in the middle of the night? Yeah... my next quilt project. 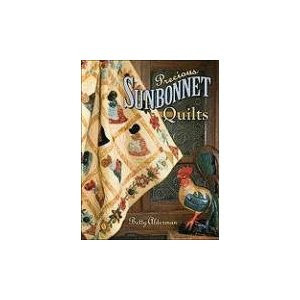 I love Sunbonnet Sue and am planning a wall hanging based on three books I have. I will likely use applique instead of redwork embroidery. I wonder what it would look like if I mixed ideas of two separate books - one about boys and one about girls! Here are the books which are inspiring me: Sunbonnet Sue and Scottie at Play, by Suzanne Zaruba Cirillo and The Ultimate Sunbonnet Sue Collection, from Leisure Arts. Then again, my latest purchase was Precious Sunbonnet Quilts by Betty Alderman, featuring a more contemporary girl. So many choices!